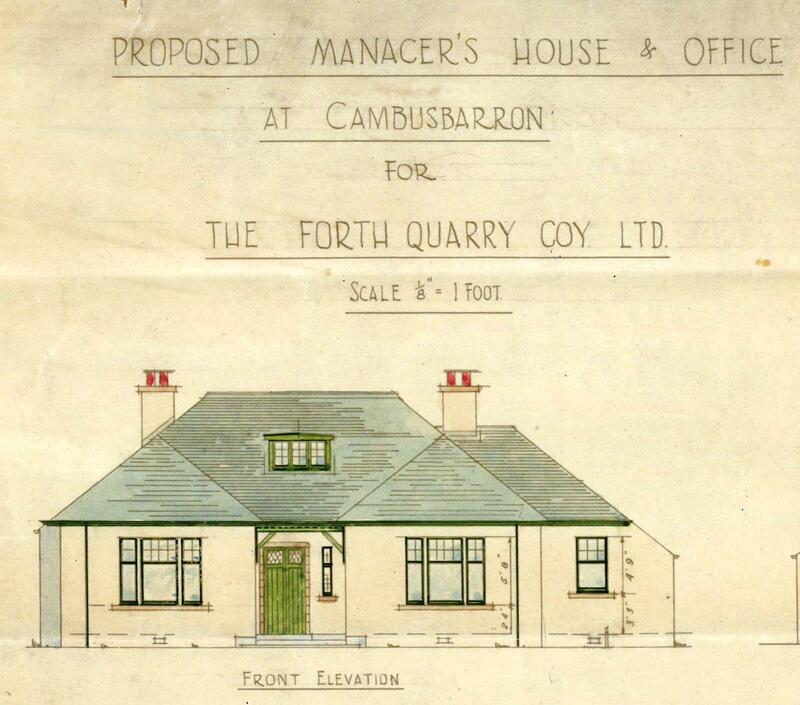 In 1931, the Forth Quarry Company agreed a deal with the factor of Polmaise Estates, W. F. McLaren, to begin operations at Cambusbarron Quarry. Quarrying had been present in the area for hundreds of years with limestone the main reward. 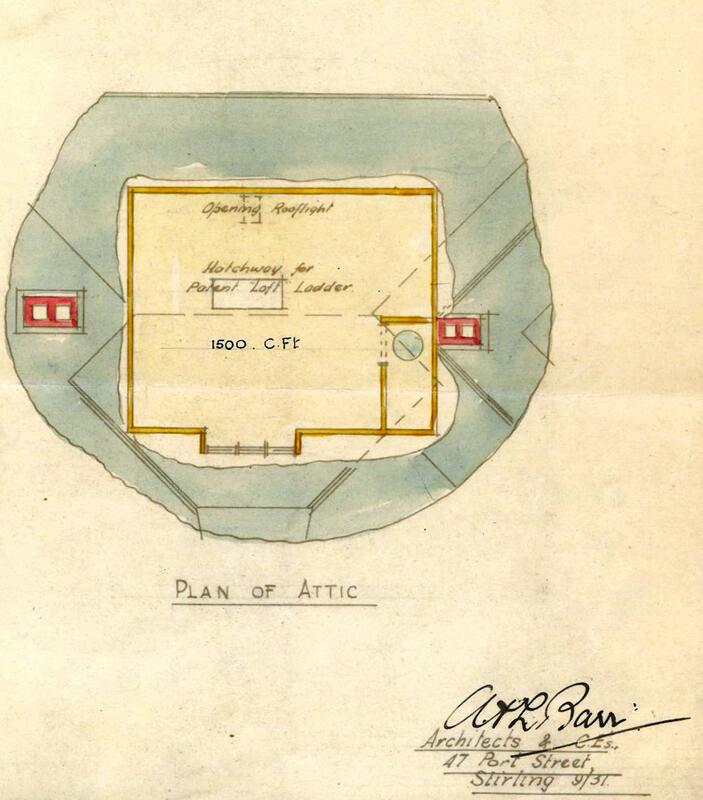 An example of this can be seen in the Murray of Polmaise collection held here at Stirling Archives (PD189). 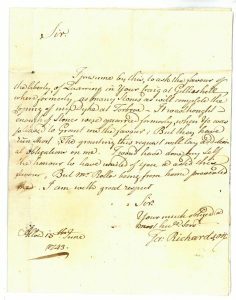 In 1743, James Richardson of Alloa, had written to William Murray of Touchadam requesting the latter’s permission to quarry for lime at Gillies Hill. 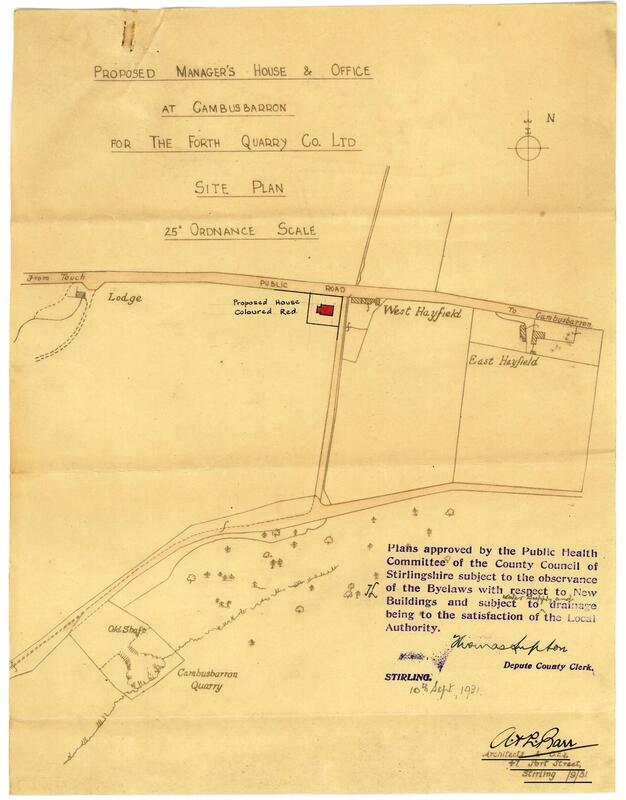 The land at Gillies Hill is still home to two accessible disused quarries: Cambusbarron Quarry and Murrayhall Quarry. 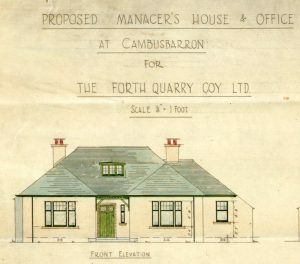 Cambusbarron Quarry (now known as Cambusbarron West Quarry or Fourth Quarry) is located south of the Old Drove Road near Cambusbarron on the north eastern edge of Gillies Hill. Murrayshall Quarry lies to the South East of Gillies Hill. 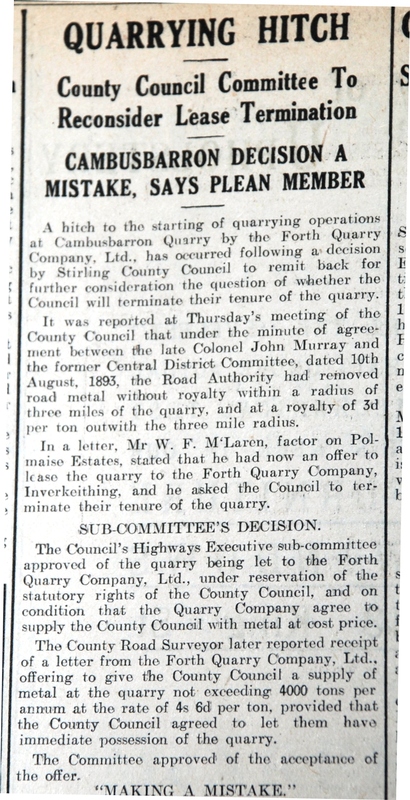 The decision to allow the Forth Quarry Company to begin operations at Cambusbarron Quarry was not a popular choice. 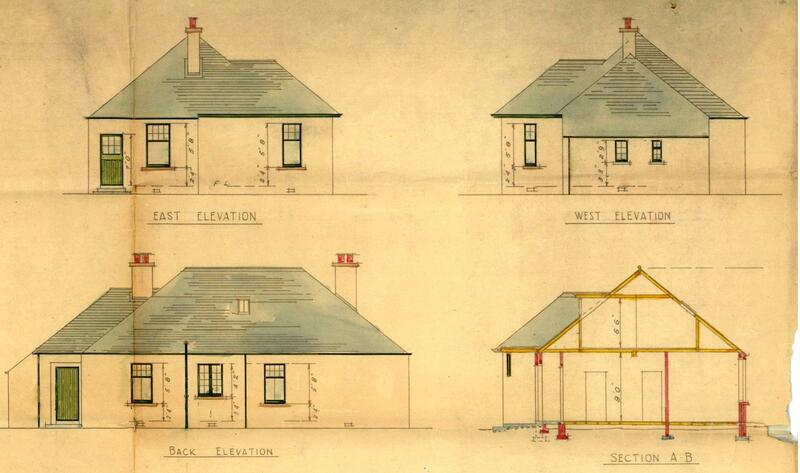 For the past thirty five years, the site had be leased to Stirling County Council. 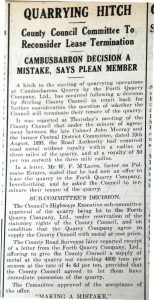 The Central District Committee of Stirling County Council had come to agreement with Colonel John Murray regarding the lease of the quarry on the 10th August 1893. 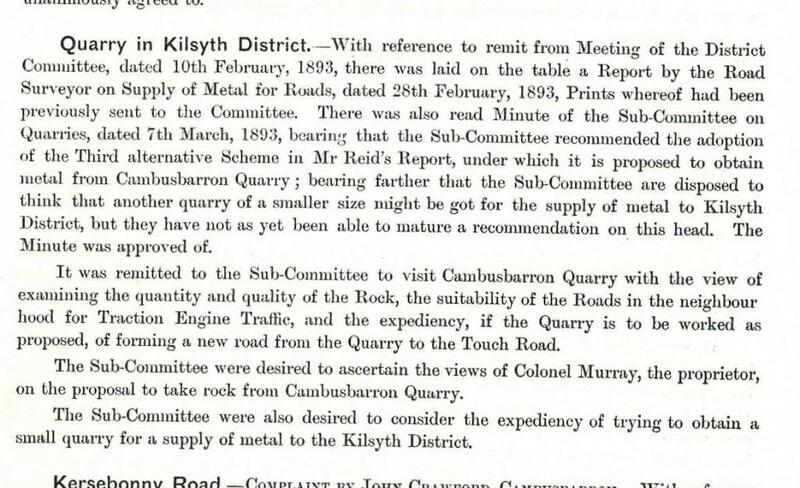 They had been searching for a suitable quarry to help with the supply of metal for new roads and to supply the Kilsyth District. 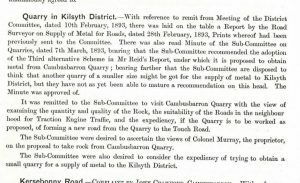 After a visit to the Cambusbarron Quarry to assess its suitability, they contacted Colonel John Murray and an agreement was made. 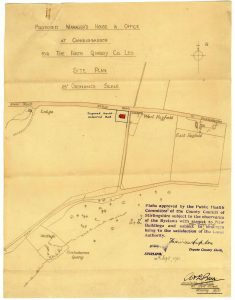 The agreement to transfer operations to the Forth Quarry Company in 1931, however, was not the preferred choice of some residents. 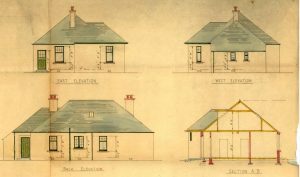 Mr A. K. Davidson of Plean had stated the quarry was still economically viable and that no deaths had occurred during Stirling County Council’s tenure. 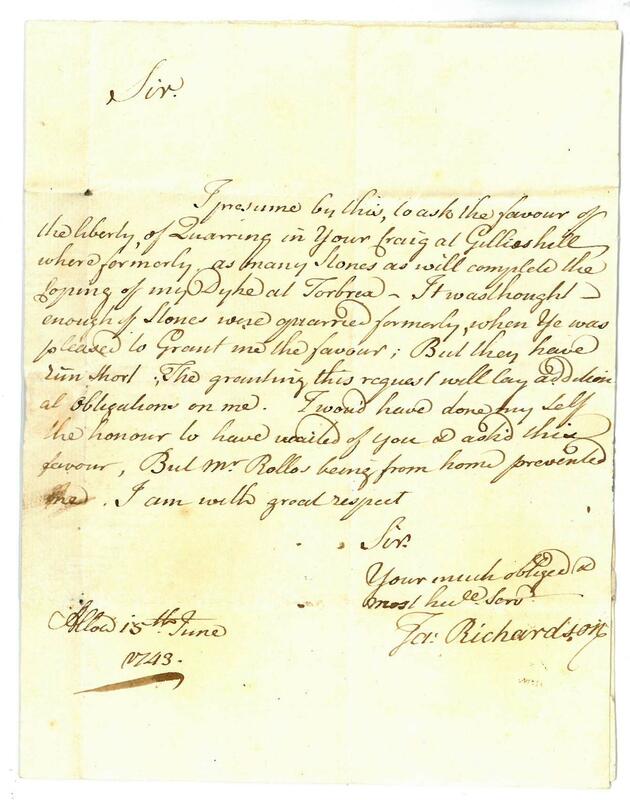 The pleas, however, were rejected and the Cambusbarron Quarry would transfer hands to the Forth Quarry Company. 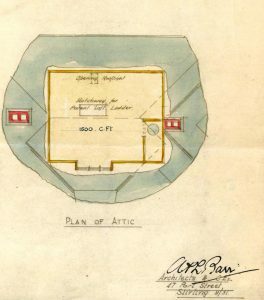 The Manager’s House and Office for the quarry would be built close by in the grounds next to West Hayfield. Today, Cambusbarron Quarry is disused. 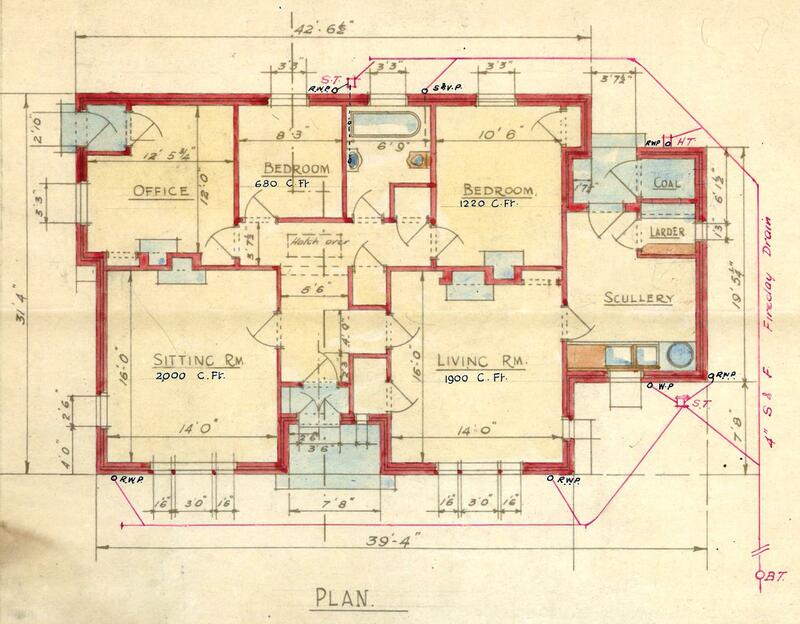 It has, however, taken on a new lease of life. The quarry has become popular with local climbers and is now known as the Cambusbarron West Quarry or Fourth Quarry. 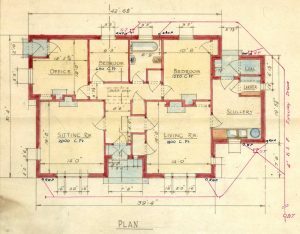 The erection of Manager’s House and Office in 1931, is a reminder of the role the quarry used to play in the area.